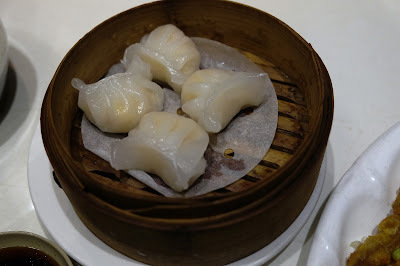 Recently, On The Chopping Board (OTCB) was invited by Bite of Hong Kong to try some of their menu items. All dishes were provided free of charge. From the outside, you could easily miss this spot if you blink, however upon entry, you are greeted with a large dining area bigger than one would expect... a very nice surprise. After being seated and provided with a menu, the first thing that stands out is the large number of items on the menu, which made it super hard to choose my lunchtime dishes as they all sounded really good. With menu in hand, my friend and I (Mirko) opt for five different dishes. First on the menu was the Duck Tongue. Personally, I haven't had Duck Tongue before, but remember a friend of mine back in Australia telling me that he has had this dish prior and he thoroughly enjoyed it. So feeling a little adventurous, we decided to give this a go. The plate of Duck Tongues arrived, and at first glance, were covered in a thick and somewhat unappealing batter. The batter was a little tasteless and overall lacked seasoning. On top of that, the Duck Tongues had bones in them - who would have thought?! This made the experience of eating these a little cumbersome. I will admit however that this was my mistake, and I maybe should have done a quick google search about how these are presented. If you are wanting to try this dish, just be mindful of this. Second on the menu were the shrimp dumplings. These had a nice delicate flavour and were surrounded by a thin translucent skin. The shrimps were plump and juicy and overall, were what was expected in a shrimp dumpling. 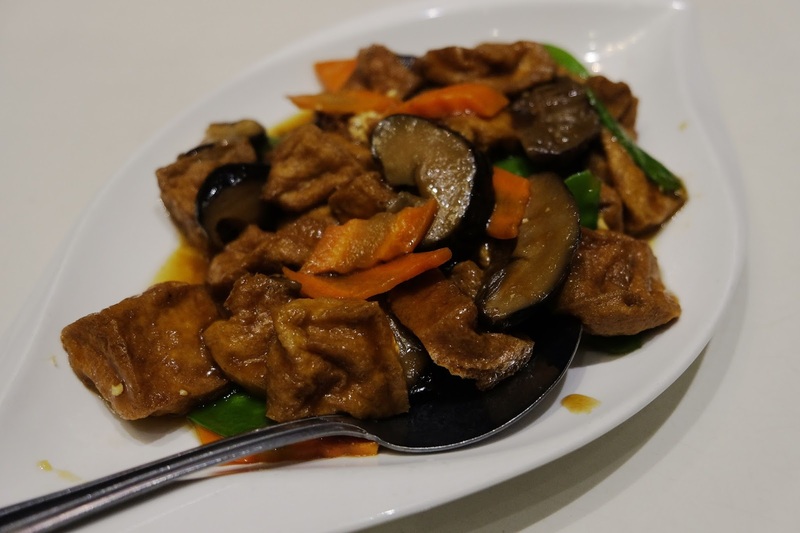 Wanting to get a vegetarian dish, we also opted for the braised tofu with black mushrooms. The braised tofu was soft and light however again, the sauce which was provided with the dish lacked seasoning to lift the overall dish. Fourth on the menu were the sizzling beef short ribs. When my friend and I saw these on the menu, we were expecting these to come out and blow us away. Unfortunately, this was not the case. 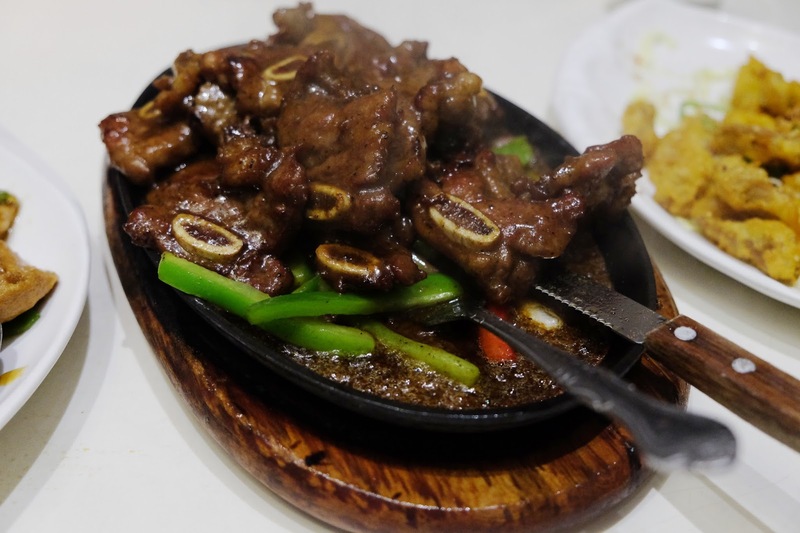 The Beef Ribs were tough and chewy and the accompanying sauce again similar to other dishes, lacked seasoning, especially when a sauce such as black pepper should provide you with a bit of a kick. 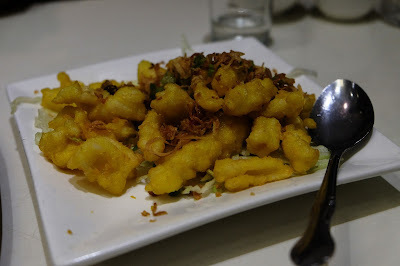 Last on the menu was the salt and pepper squid. I have had this dish many a time and have been spoilt for choice when it comes to this dish back home in Australia. Being somewhat of a staple on many Chinese restaurant menus, I sometimes judge a place by how well they can make this dish. Squid can always be a difficult dish to execute. If you cook it for a little too long, the squid is chewy, not long enough and the squid is undercooked. In this dish, the batter also plays a huge role in this dish with the expectation that it is light and airy and seasoned well with salt and pepper. Whilst the squid in this instance was cooked well, the batter let this dish down as it was thick and like other comments, lacked seasoning. Unfortunately, our experience at Bite of Hong Kong was not as we were hoping. With a little more work on the balance of flavours in each dish, this could be some tasty Chinese food worth returning for again and again. We would like to thank Bite of Hong Kong for the kind invitation and wish them all the best.